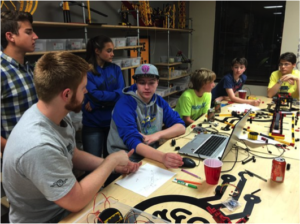 Thrust-UAV, located in Boise, Idaho, was a dream of founder E.J. Duarte that began in 2012. 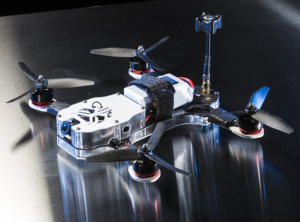 His goal was to produce a high-quality racing drone that was lightweight, durable, easy to operate and even easier to get racing. Now a thriving resource in the Drone FPV (First-Person View) hobby segment, Thrust-UAV lives for emerging drone tech. Starting out by designing and selling components and frames, Thrust-UAV flew into the FPV market with the recent release of the Riot 250R Pro, the easy to operate, almost-ready-to-fly drone. Inspired and designed by racing professionals, the Riot gives race-day-ready performance, right out of the box. Add your controller and goggles, and get ready for lift-off with the championship grade design and performance of the Riot 250R Pro. Part beauty: all BEAST — take to the skies with Thrust-UAV! In late 2014, Thrust-UAV started working with PCS Edventures to develop an advanced robotics curriculum for a Saudi Arabian Science Center project. During the development phase of the Saudi project, PCS Edventures established a relationship with Thrust-UAV. They became familiar with the tech and market dynamics through time spent with E.J., and ultimately ended up acquiring Thrust-UAV in March of 2016 to strategically enhance strong synergies between the two companies. From there, drones were selected as an advanced robotics solution. An infinite source of STEM content, drones were selected as an avenue because of the educational access to the programming and electronics of the control systems, the physics of flight dynamics and even the material sciences of drone frames. 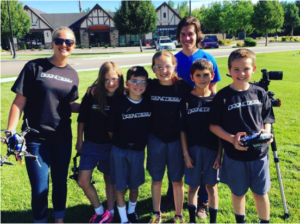 As PCS and Thrust-UAV look towards the future, they have the continued goal of inspiring a passion for education and innovation in the drone racing market. PCS is committed to reminding students that it all starts with a dream — a dream that has been realized today with Discover Drones, the world’s first educational drone kit. 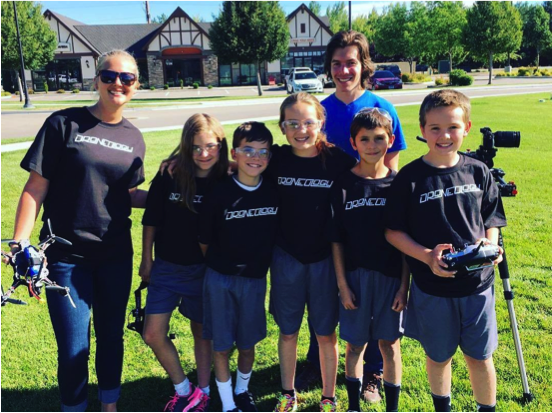 By coupling the thrill of FPV racing with STEM education, Discover Drones brings the future of tomorrow to the hands of children today.